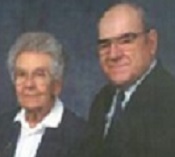 Lyle and Helen Henry were people of good heart with the simple purity of helping others around them. Both Lyle and Helen were born in Geneseo. They met at Remours Café in downtown Geneseo, a local hangout for young singles. They were married nearly 60 years, remaining residents of Geneseo the entire time. Helen Ristau was born and raised on the family farm, which was on the east side of Chicago Street, south of the Wells Street extension corner. Growing up, Helen was familiar with hard work. Milking cows and mowing hay with her brother was just "all in a days work." Long time friend and neighbor of the Henrys', Roy Joe Klavine commented, "Helen's mother made the best and thickest cream. So thick, you had to dip it out with a spoon." Roy Joe related, "Lyle and Helen were the best neighbors ever. Lyle and I would help each other regardless of the need." Work on the family farm kept Helen busy, but she always found time to help others. She recalls working for various families cooking, cleaning and caring for their children. Helen was always active throughout the community and in the life of the Concordia Lutheran Church of Geneseo, where she and Lyle were members. Lyle's father worked on the railroad so was unable to be home with Lyle full time. When a minister friend of the family offered a stable home life for young Lyle in Rockford, IL, he moved there and attended school until his Senior year. Helen reminisced that prior to moving there, Lyle rode his bike all the way from Geneseo to Rockford to visit. Lyle completed his senior year of high school at Geneseo. He worked in Stadels 5 & 10 Store and would wash cars in the back alley in his spare time. His uncle then gave him a job in his body shop, which Lyle subsequently purchased and operated. Following that, he went to work for Dahl Ford in Davenport and attended Bear alignment school. Lyle worked for Bestor Brothers and ran the body shop. He purchased Maeltzers Frame and Axle, and in 1967 purchased the Ford dealership in Atkinson, IL. Lyle and Helen owned and operated this Ford Dealership. Always one to keep busy, Lyle also had a print shop in the basement of their home, printing church and wedding bulletins. Lyle passed away in January of 2006, however, the examples Lyle was taught in his early years of helping others, and the opportunities he was given were the building blocks to a lifetime of charity and giving. Helen passed away in June,2011. Helen met with Mike Kelly of Central Bank's Trust Division to learn about ways to honor Lyle's memory and hard work, and give back to the community he loved. Choosing the Geneseo Foundation as a vessel to continue their giving spirit seemed like a good fit for the Henrys. Lyle and Helen's funds target students that have the ability yet need financial assistance. Prior to her passing, Helen commented, "I wanted to do this before I passed away. I wanted to be a part of it. It is very rewarding to be able to choose the scholarship recipients." Paul Peterson of Bettendorf, Iowa was a young man with high moral character and integrity. He was honest, worked long hours and provided service to his family, church, neighbors and friends. He exercised regularly and ate a healthy diet to keep his mind and body in top shape. Paul passed away unexpectedly on August 18, 2004 at the very early age of 30. He and his wife Lisa met at Calvary Church of the Quad Cities. Lisa commented she was attracted to his exceptional character. At the time of Paul’s passing they had been married a short 11 months. Paul’s church benefited from his desire to mentor and train youth, in addition to his profession of building and programming computers. He had an interest in music and Paul’s father-in-law, Bryce Harthoorn commented, “Paul’s band kept on beat with his powerful drum playing skills. Paul could get high on good, clean fun.” He was also interested in art, drawing and cycling. Paul would get ready for a bike ride and tell his mother Janice, “I’ll be right back”, then not return until he and his best friend Scott Grissom finished a 26-mile ride. His family and friends were often surprised by his gifts of generosity. Paul loved computers, mechanical machines and the things they could do. He was a computer consultant for EXCEL Computer Center. Paul’s business clients such as the Mississippi Valley Regional Blood Center, Bank Orion and the City of Davenport, appreciated his skills and his commitment to going beyond what was expected. Geneseo High School, where Paul graduated, was instrumental in planting the seeds to what is now the Paul A. Peterson Memorial Scholarship. Guidance counselor Linda VanDerLeest, suggested Lisa and the Peterson family speak with Mike Kelly of the Central Bank Trust Division to discuss the advantages of the Geneseo Foundation. After a lot of research, they felt the foundation was like a large umbrella capable of managing many smaller funds, which were similar to theirs. They were confident the Geneseo Foundation would honor their wishes and desires in representing Paul’s memory. Paul had a sharp mind combined with a motivation for service that impacted those he met. Scholarship recipients chosen mirror these qualities that Paul Peterson possessed. Character and service are important factors in the selection process. The Paul A. Peterson Memorial Scholarship is intended to provide financial aid to students who desire to pursue computer studies after high school. Recipients are awarded a $500.00 scholarship per year for a maximum of 4 academic years. Lisa Peterson and Melinda Grau, Paul’s sister, serve as the selection committee who review the applicants, make the selection and present the awards. They feel it has been wonderful to get to know the young people selected. Lisa states, “It is fun sending them cookies for finals week, and to pray for their success.” Since 2006, a total of $3,000 has been awarded to three high school students for computer science education. The Peterson family extends their appreciation to the Geneseo Foundation, The Geneseo High School administration, EXCEL Computer Center, family and friends for their contributions to the success of the Paul A. Peterson Scholarship. Their ongoing support is a fitting tribute to Paul and his short, yet remarkable life. Contributions to the Paul A. Peterson Memorial Scholarship Fund may be sent to the Central Bank Illinois Trust Division P.O. Box 89, Geneseo, IL 61254. The Brad Schoon Memorial Scholarship awarded its first $1,000.00 scholarship in May 2008 to Geneseo High School graduate Jordan Diehl. Additionally, Brad’s wife Renada made the decision to present each scholarship applicant with a $100.00 scholarship. She was so moved by the applicants’ essays, she felt it was important to acknowledge the connection between these applicants and Brad’s influence. Brad Schoon was born in 1960 and raised in Anamosa, Iowa. He was a 1978 graduate of Anamosa High School and received an undergraduate degree in Geology from Cornell College in 1982. 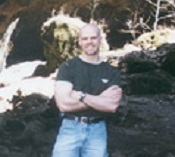 Brad continued his education and received his MBA in Science Education from the University of Iowa in 1985. Brad first taught high school Earth Science and Math for thirteen years at West Central School District in Maynard, Iowa. While at West Central he also coached football and golf. Brad met his wife Renada in 1977. 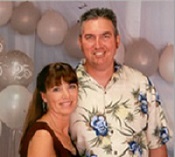 They were high school sweethearts, married in 1982 and celebrated their 25th anniversary on June 28, 2007. After accepting a position as the Earth Science teacher and a coach at Geneseo High School, Brad, Renada and their daughters, Lindsay and Sara moved to Geneseo in 1996. Brad passed away on December 16, 2007 after a courageous battle with Lou Gehrig’s Disease. 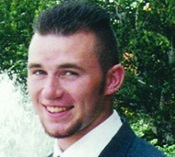 It was Brad’s wish to establish a scholarship fund with memorial monies the family received. After consulting with Mike Kelly of Central Bank’s Trust Division, Renada chose the Geneseo Foundation as the avenue for giving in memory of Brad. Renada says she made her decision based on how the foundation gives back to the community in order to support its citizens and local organizations. Renada also chose Central Bank because of all the support they provided in setting up the Brad Schoon Benefit Fund. The application process for the Brad Schoon Memorial scholarship includes a brief essay, documentation of pursuing further education in any field, a grade point average that demonstrates consistent effort and responsibility in the classroom. Involvement in community service is also a consideration. Through the Brad Schoon Memorial Scholarship students will continue their educational journey in Brad’s memory. Contributions to the Brad Schoon Memorial Scholarship Fund may be sent to the Central Bank Illinois Trust Division P.O. Box 89 Geneseo, IL 61254. In their will, Leonard and Phyllis Hopkey designated $795,000 to support the Geneseo Foundation. Their bequest was for unrestricted use of their funds. Bequests and endowments may be directed for a particular interest of the donor, or to support the simple principles on which the Foundation was based, to have a positive impact on the lives of the citizens of Geneseo and the surrounding communities. That seemed like a perfect fit to Mr. and Mrs. Hopkey. Their lifetimes of commitment to their family, their church, and their community lives on through their decision to include the Geneseo Foundation in their will. As such, the Foundation uses the Hopkey’s legacy to support local scholarships, the arts, youth activities and organizations, athletics and other various activities. To those who knew Leonard and Phyllis, it’s no surprise these two modest people have a continuing impact on our lives. The Hopkeys were the kind of couple you could call "the salt of the earth”. Roget’s Thesaurus defines this as “a straight arrow, an honest person, an upright person”. This is a perfect description of our friends. Both Leonard and Phyllis grew up on farms, and shared 56 years of marriage in good times and bad. They were baptized, confirmed, married and buried from St. John’s Lutheran Church, as were both sets of their parents. In fact, they met as young people in Walther League at St. Johns, and were married in 1943. Their final resting place is together in Oakwood Cemetery in Geneseo. During their lifetimes, Leonard and Phyllis farmed, raised hogs, and fed cattle. They always had a vegetable garden, fruit trees, and flower gardens. Leonard had a special bed for summer blooming amaryllis, and enjoyed collecting toy tractors. Phyllis collected stuffed animals and did various kinds of handwork, including knitting and embroidery. “The Hopkeys had no children of their own, but enjoyed their nieces and nephew, cousins, and neighbor children”, stated Leonard’s sister Ione Shelp. They were like foster grandparents to several boys, and enjoyed watching them grow through college to manhood. She also related that "He was a big fellow, quiet and friendly, always a smile on his face. Phyllis was about a foot shorter, also rather quiet, always a helpmate to Leonard." They worked hard, but enjoyed life too. Over the years, Leonard and Phyllis bowled, took fishing trips, and vacationed at the Grand Canyon and Yellowstone Park. Their love of the outdoors was evident in the care and pride of their own farm. Leonard was a natural mechanic, and enjoyed the challenge of fixing things. They both kept their home, the buildings and grounds in "tip top shape." After their retirement from active farming, they continued to live on the farm, but rented out the land. The Hopkey's quiet, selfless lives are the perfect reflections of the ethics and purpose set forth by George Dedrick, founder of the Geneseo Foundation. With their generous support, the Foundation uses their legacy for "charitable, civic, benevolent, educational and scientific purposes, and for the help of the unfortunate and the afflicted." 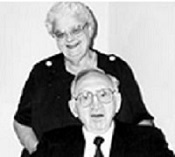 Two great benefactors of the Geneseo Foundation, were Wilbert and Carol Keppy of Osco, Illinois. Through the Geneseo Foundation, the Keppys established a scholarship funding three $2,000 scholarships annually. This program recognizes individuals who are graduates of a Henry County high school, and are pursuing a degree in agricultural or similar related field. The scholarships are available to a college junior or senior. The Keppys designated the remainder of their $700,000 gift to the Geneseo Foundation to assist organizations that were close to their heart. Some of these include the Henry County 4-H Foundation, the Geneseo Endowment for Excellence in Education, the Illinois Pork Producers, and scholarships to further the education of young men and women in the agricultural industry. Wilbert and Carol Keppy helped many young people from all over the country, especially those in the pork producing business. Wilbert Keppy, who stood 6’6”, was a very humble man, who always helped friends and neighbors through the years. He was a hardworking man who was very proud of his crop production, as well as the quality of the hogs he raised. Wilbert was sensational at critiquing hogs, and garnered a lot of respect throughout the industry for his knowledge of pork. In the tough farming years of the early 1960's, Wilbert Keppy solicited 90 farmers who were willing to invest $100 each with him to promote pork, and make a better life for hog farmers. The Keppys were instrumental in organizing the Henry County Pork Producers, and among the group that formed the Ilinois Pork Producers. 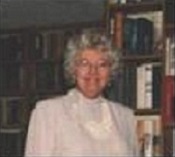 Carol Keppy was an avid reader, who loved antiques and had a great zest for life. She helped form the Illinois Porkettes, the forerunner of the Illinois Pork Producers Auxiliary, and was a leader in the Henry County Republican Women. Carol was a fabulous cook and together, the Keppys would host dinner parties featuring only the finest pork dishes. The couple promoted the pork industry night and day. They were famous for bringing some of the finest speakers money could buy for the Henry County Pork Producers Banquet, which would attract as many as 500 pork producers to the then Deck Plaza in Geneseo. Over the years, Mr. and Mrs. Keppy felt it was very important that their legacy aid the development of young people, in particular, the sons and daughters of pork producers. 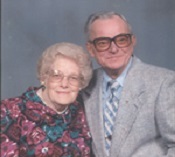 Wilbert Keppy died in 1997, and Carol passed on in 2000. Yet, the Board of Managers of the Geneseo Foundation are here to see that Wilbert and Carol's legacy continues. They administer the Wilbert and Carol Keppy Memorial Fund, and each year select four deserving young people to endow in the Keppy's memory. Their living gift continues the promotion of the pork industry and the Illinois Pork Producers. It is true that Wilbert & Carol Keppy were friends of the Geneseo Foundation, but we think they were friends to us all! If you have been wondering how to have a lasting influence of your life's interests, the Geneseo foundation would be proud to represent you too! Portions of this article are credited to www.henrycofarmbureau.org and the Publisher of the Geneseo Republic. This is another story of local people who worked hard, had good lives here, and wanted to share their success with others. Ralph and Dorothy Graham endowed the Geneseo Foundation with a gift totaling over $400,000. The Grahams’ wished to perpetuate their interests in the sciences and humanities following their lifetimes as a dentist and an artist, respectively. Their wish was to provide scholarships benefiting students needing financial assistance in these areas of study, as well as gifting organizations and federations that promote environmental and conservation awareness, humanitarian and wildlife issues. Dorothy “De” Young was born on May 4, 1918 in Annawan, in the local hospital where her father, Dr. James M. Young practiced. She studied art at Stephens College and then at the University of Iowa under Grant Wood, graduating in 1942. She knew Ralph Graham for many years before meeting him again on a blind date. They married in 1940. Dr. and Mrs. Graham lived on the family farm for years, before moving north of Atkinson. They adopted and raised two children, daughter, Phia Gannett, and son Steven Robert Graham. De taught art and founded the Art Department at Atkinson High School. Her work was exhibited at the Davenport Municipal Art Gallery, as well as in Chicago at the Paul Theobald Gallery. One of her pieces won the Best of Show from the Davenport Gallery, and was purchased by and will be part of the display at the Figge Art Museum. She also taught adult art classes in Atkinson, Geneseo, and at her home studio for several years. De toured Europe in the 1960s with artist friends and her daughter, where they visited many of the great museums and galleries in England, Scotland, Belgium, France and the Netherlands. She later studied sculpture, and although most of her work is oil on canvas, she did some large garden sculptures in iron, as well as glass, fiberglass, and wood assemblages. Dorothy Graham continued to paint, write short stories and poems, garden, and read until her passing in 2001. Many of her paintings are in private collections, as well as the homes of many of her friends. Locally, her work may be seen in several law offices, banks, and at the Henry County Court House. Ralph W. Graham was born April 14, 1904 in Atkinson. His parents gave him the middle initial “W”, and instructed him to select a name that it began with. Ralph schooled locally, and then graduated from dental school in the late 1920s. He lived at home with his mother until his forties, when he married Dorothy Young. He was 14 years older, and considered quite a catch in the small town. He practiced dentistry in Annawan for over 50 years. Dr. Graham was a passionate reader, owning more than 10,000 books in his library. He was taught stewardship of the land by his parents, with his other great passion being conservation. His beautiful gardens and pond were the focus of many young students’ study. Students often visited and were rewarded with hands-on training in his gardens. Dr. Graham passed away in 1984. The Grahams’ both had a love of nature, and exhibited a keen interest in preserving and improving the physical environment of our world. And for that reason, they gifted the Geneseo Foundation to aid in the awareness of environmental and humanitarian issues, and create scholarships for deserving and financially needy students pursuing their interests in the areas of science, chemistry, physics, biology, related life sciences, geology and the arts and humanities. Our thanks to the Grahams for their valuable lives and many contributions to the future for all of us in the community. Dr. Gifford “Giffy” and Carol Zimmerman were friends to many, including the Geneseo Foundation. Actively involved in the Geneseo community for decades, the Zimmerman’s believed in giving to others. Their gift of $24,000 to the foundation, is designated to further their support of worthwhile organizations and community activities. Dr. Zimmerman was born in 1913 in Atkinson, Illinois. Called Giffy by his friends, he served in the Army Medical Corp. during World War II. He was a graduate of the Illinois College of Optometry in Chicago, and opened his own optometrist practice in Geneseo. In June of 1941, he married Carol Mathwig. After practicing for 36 years, Dr. Zimmerman retired in 1981. Gifford passed away in 1996 at the age of 82. Carol was a special lady who always had a smile and a kind word to pass along. She was actively involved in many community, and church activities at the First Congregational Church in Geneseo, where the Zimmermans were members. Carol passed on in 2003. While her husband was in the Army, Carol worked in a hospital in Fort Bragg, NC, as a private secretary for the Chief of Laboratory Service. It was at the end of World War II that the Zimmerman’s made their home in Geneseo. In addition to assisting Gifford in his optometric practice, Carol helped raise their family; daughters Sue Brown and Terry Wyffels, and son, Gifford R. Zimmerman. Carol enjoyed traveling, time spent with family and friends, and she even participated in the same bridge club for over 50 years. 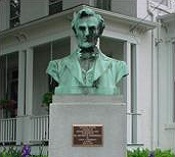 One of Carol’s proudest accomplishments was the donation of the Abraham Lincoln bust at the Geneseo Historical Museum in 1997. This gift was in memory of her husband and as a legacy to the community. The friendships formed throughout their lives continues with the Zimmerman’s gift to the Geneseo Foundation. We are thankful for Giffy and Carol’s gift and glad to call them friends. Chris Pobanz was a young man who can best be described with one simple word-fun. He always had a smile on his face and was an eternal optimist. Po, as he was called by his friends, never had a bad word to say about anyone, and considered everyone he knew to be a friend. Unfortunately, Po's optimistic, friendly, care-free spirit was unexpectedly taken from his many friends and family at the far too early age of 24 in December of 1999. Christopher Pobanz was born on November 30, 1975 in rural Geneseo, to Roger and Judy Pobanz. He was also a proud big brother to younger sister Kate. Chris was a 1994 graduate of Geneseo High School. While in high school, he was a member of several conference champion cross country teams, a member of the track and field team, and a member of the 1994 Sweet 16 varsity basketball team. After graduation, Chris attended the University of Illinois in Urbana-Champaign, majoring in Agricultural Economics. Po was a big fan of the Fighting Illini; before, during, and after his time as a student at Illinois. After attending Illinois, Chris worked for Allan Reschke in Geneseo as a plasterer and eventually became a union plasterer working for Allied Construction in Bettendorf, Iowa. This was a trade in which Chris took a lot of pride. For several years following his passing, Chris’ family and friends discussed how to best honor his memory. After much thought, they decided to start an annual scholarship at Geneseo High School, the Christopher Pobanz Memorial Scholarship. The scholarship was viewed as a great way to give back to a community that meant a great deal to Chris, and a way for those who loved him to keep his spirit alive and to share his story with future generations. Linda VanDerLeest, high school guidance counselor, suggested working with the Geneseo Foundation. Upon further investigation into the merits of using the Foundation, Chris' friends felt this was their best option. The Geneseo Foundation would clearly be the ideal steward for the scholarship funds. To be eligible for the Christopher Pobanz Memorial Scholarship, the graduating senior must attend the University of Illinois, Urbana-Champaign. Other criteria taken into consideration when awarding the scholarship include grade point average, high school activities, percent of school being paid for by the student, and financial need. The recipient of the inaugural $500.00 Christopher Pobanz Memorial Scholarship in the spring of 2010 was Paul West. Po’s friends and family serve as the selection committee for the scholarship. Contributions to keep the memory of Christopher “Po” Pobanz alive through the Christopher Pobanz Memorial Scholarship Fund may be sent to the Geneseo Foundation, c/o The Central Bank Trust Division, 425 US Hwy 6 East, Geneseo IL 61254. Your contribution should be made payable to the Geneseo Foundation, with a note on the check referencing the Christopher Pobanz Memorial Scholarship Fund.